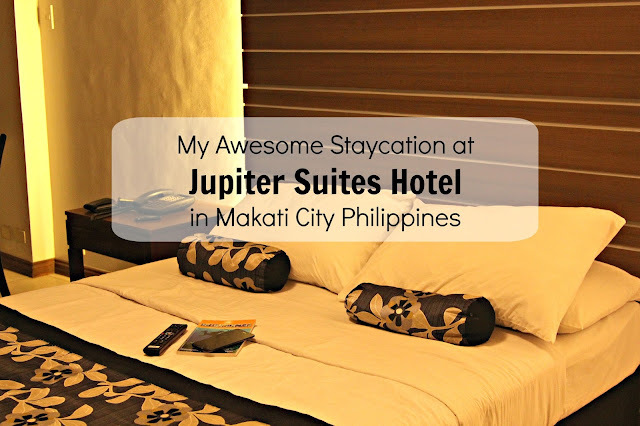 A few weeks ago, I was invited to Jupiter Suites Hotel in Makati to experience a one night staycation. I’m really glad and thankful for that opportunity. 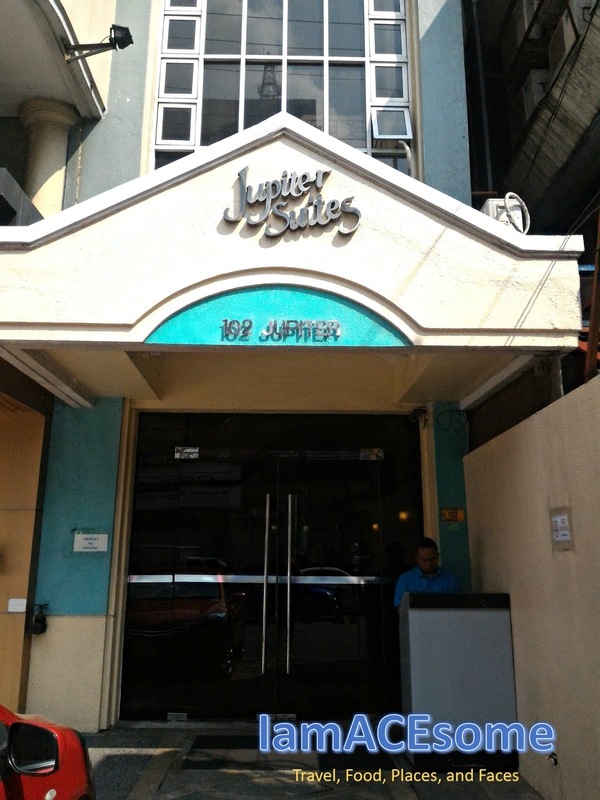 I've been seeing this hotel at the corner of Jupiter and Makati Ave. but this is the first time I'll be staying here. 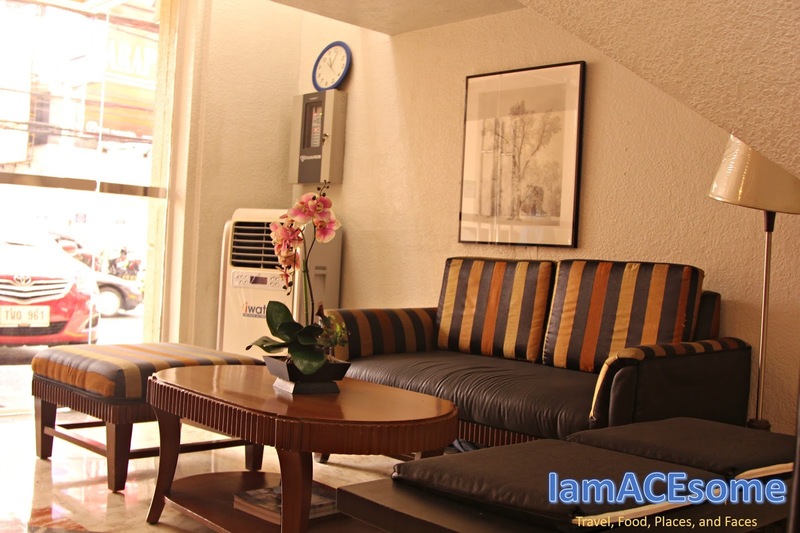 It's not hard to find, as it is located near commercial and business establishments in Makati. 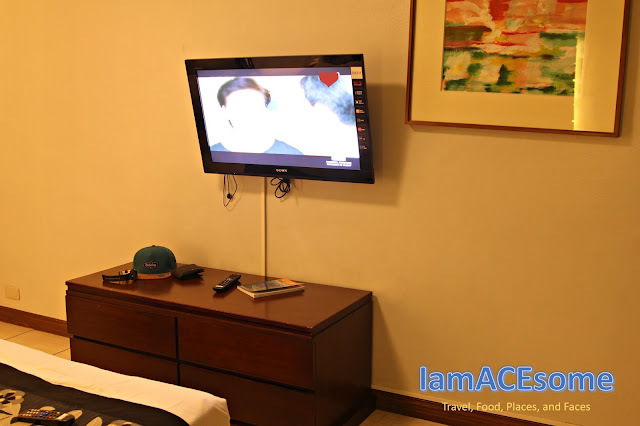 This is the reason why some travelers and families would like to stay at Jupiter Suites Hotel. Most of the establishments like a fast-food chain, coffee-shop are open 24/7 and even the Tiange and food stall. If you are a party goer, Jupiter Suites Hotel are very near to some popular bar in the Metro. I parked my car in front of the hotel. It’s good to know that they have a parking space in front of the hotel. This makes parking easy for those who has a car. The guard is very accommodating he assisted me to parked my car smoothly. Upon arrival at the hotel, I was warmly welcomed by the hotel staff. I went to the check-in counter and was gladly assisted by their staff. The hotel staff lend me my room key together with the wi-fi password, I was amazed because I did not ask for it and it is not usual in another hotel until you ask. 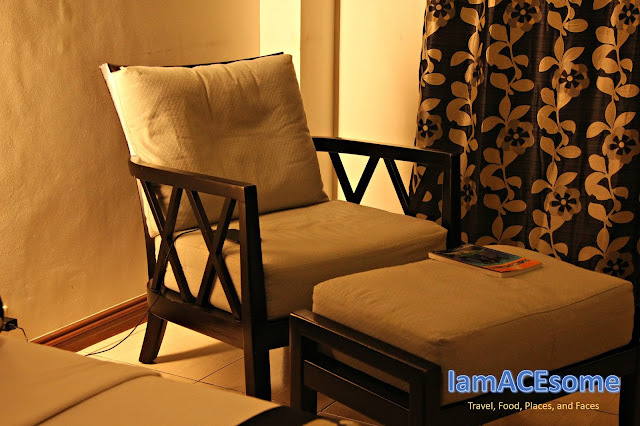 As a blogger, I make sure that my followers are updated to my blog post and happenings, thank you Jupiter Suites Hotel for the fast internet connection. 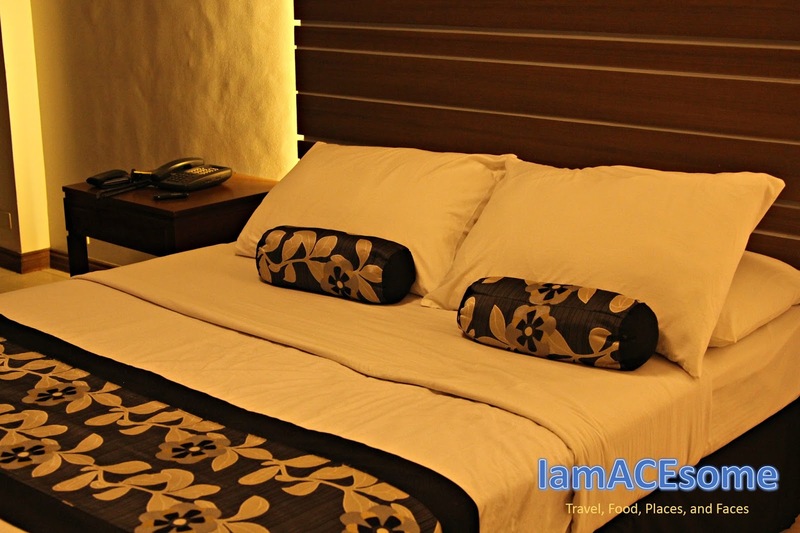 Jupiter Suites Hotel has a total of 25 rooms that consist of 8 Standard Rooms, 11 Deluxe Room, and 6 Family Room. My room is a Deluxe Room, good for two persons. The room is very spacious even the bathroom, the room amenities are complete with Color Cable TV, Safety Deposit Box, Air-Conditioned, Phone and Phone Directory, Mini Dining set, a relaxing Sofa, mini ref & bar and a blower. Aside from this, you will have a copy of their house rules, a list of the establishment with contact number like restaurant and salon, a list of embassies with address and contact number. So being alone in my room, I make sure I have a photo in every spot of my room, so how I do that? I used my tripod to accomplish my photo session in my room. 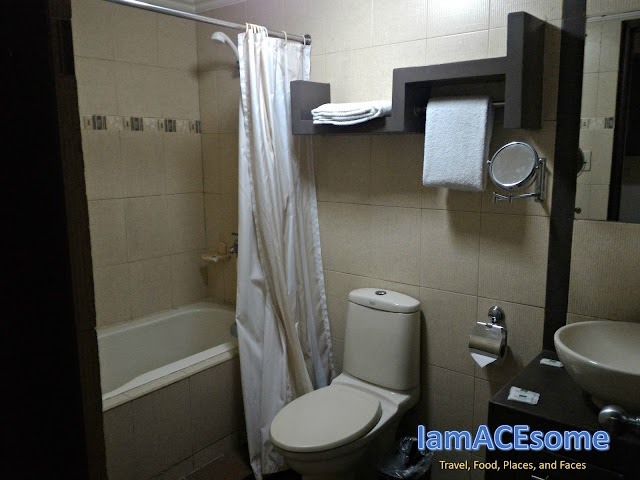 How about the Hotel Amenities and Features? 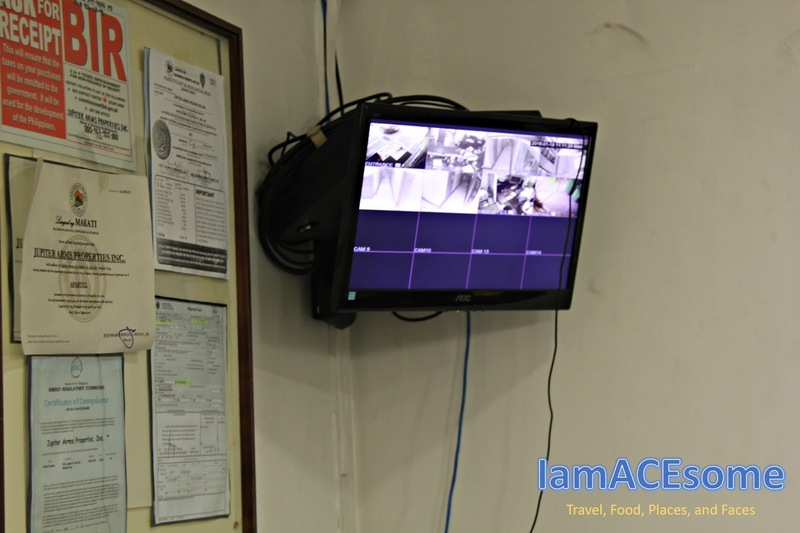 Jupiter Suites Hotel make sure that they have a CCTV Camera in every corner of the hotel, a smoke detector, laundry services, a standby generator, with 24 hours security, waiting area / lobby, a complimentary breakfast for two. I would like to highlight the complimentary breakfast because they make it in a very different way by checking what food and drink you want for your breakfast in their small paper with a list of food and drink. And another good thing about the service of Jupiter Suites Hotel is by giving you newspapers outside your door. For my overall review, check my TripAdvisor Review below. I've stayed here for one night and I really enjoy my first time stayed at this hotel. 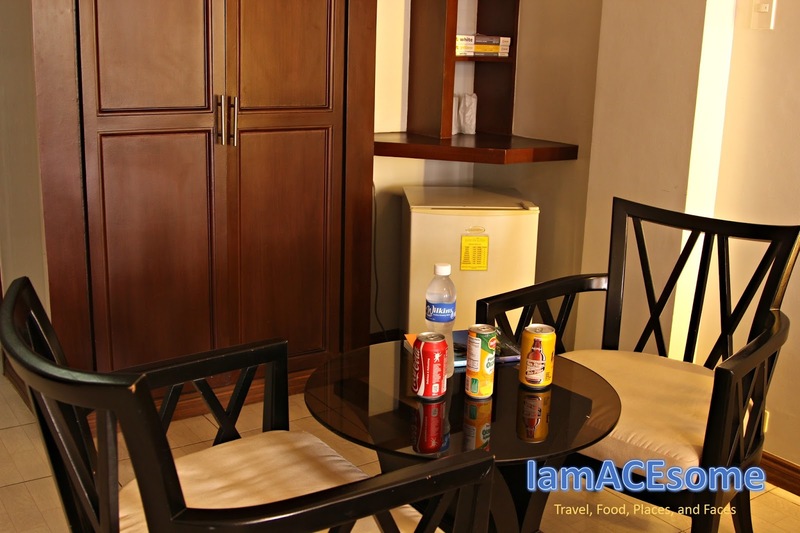 What I really like about the hotel is their spacious hotel, I choose deluxe room. Their wi-fi connection is a lot faster compared to another hotel I've stayed before. 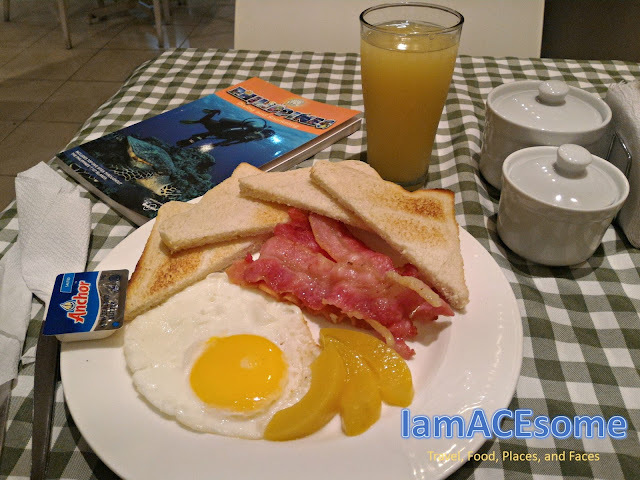 My complimentary breakfast meal was very good and delicious, and my first time to see a checklist of available breakfast you want to order which is good and I really like it. And the place is surrounded by much convenience store, fast food chain and the restaurant even a night food market. 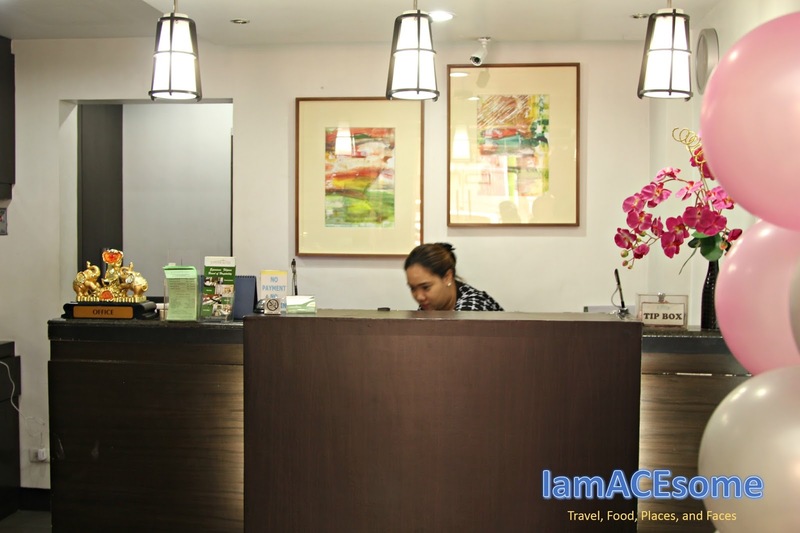 From the security, reception, and maintenance and at dining personnel, they are very accommodating. At my door, I've got a free newspaper. I will definitely stay again at Jupiter Suites Hotel. Who will be the next Superbods?